Joel A. Flom received his Bachelor of Arts degree from the University of Minnesota in 1975 with a double major in economics and philosophy. Joel attended law school at the William Mitchell College of Law in St. Paul, Minnesota. 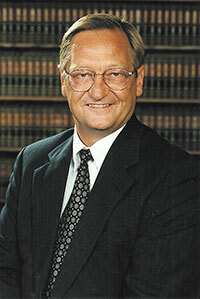 He graduated in 1981 with a Juris Doctor degree. Following his graduation from law school, Joel was employed as an attorney with Dorsey & Whitney in Minneapolis, Minnesota. 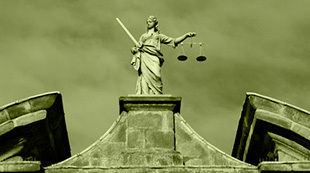 While with that firm, he spent five years in general litigation with a special emphasis upon products liability defense. Joel is admitted to practice in all Minnesota and North Dakota state courts, the United States District Courts for Minnesota and North Dakota, and the United States Court of Appeals for the Eighth Circuit. He is a member of the American, Minnesota, North Dakota, Seventh District, Clay County and Cass County Bar Associations. He has been appointed to serve on a variety of bar association committees, including the Minnesota Judicial Administration Committee, the Minnesota Civil Litigation Section Judicial Evaluation Committee and the Defense Research Institute's Industrywide Litigation Committee (Agricultural Products Subgroup). Joel has been certified as a Civil Trial Specialist by the Minnesota State Bar Association. Joel is also a member of the Minnesota Academy of Certified Trial Lawyers. Joel has also been an arbitrator for the Hennepin County Bar Association and has been appointed to the Panel of Arbitrators for the American Arbitration Association. He has been a lecturer for Minnesota Continuing Legal Education, presenting a seminar and article entitled: Third Party Liability: Calculation of Awards and the Employer's Subrogation. He has also spoken to the Twin Cities Claims Association on the same topic. Joel, his wife Janet, and their son reside in Moorhead.